Here's a total snowfall map from the US National Weather Service Eastern Headquarters. 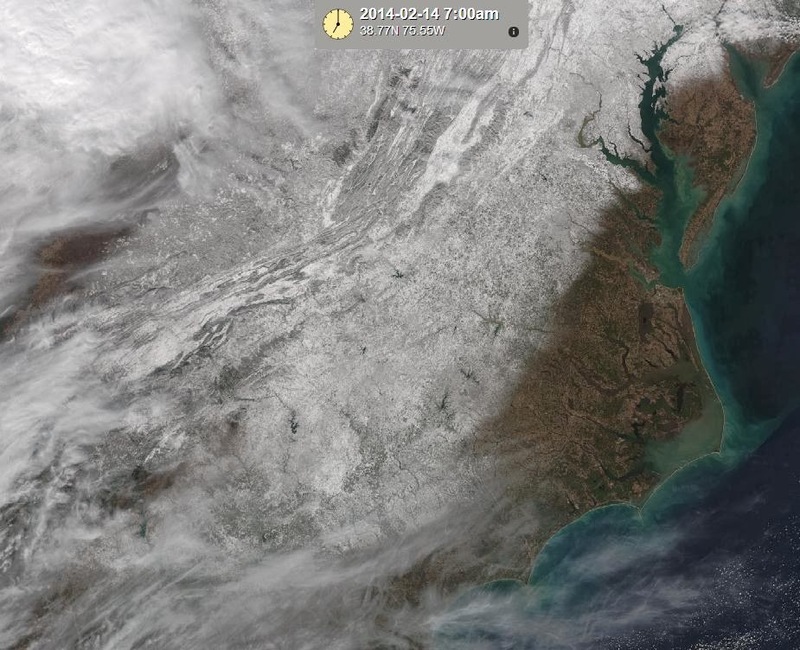 It'll be interesting to see how this is rated on NESIS (Northeast Snowfall Impact Scale). This rating uses population information in addition to snowfall amounts to get a handle on transportation and economic impacts from the storm. Storms are rated 1-5 (notable-significant-major-crippling-extreme). Right now, I feel like this storm will end up either a 3 (major) or 4(crippling) based on the wide extent of significant winter weather from the southeast to New England. Looking back at my final call, east of the mountains I did pretty well. The mixing I was concerned about did keep totals much lower than some of the models were spitting out. 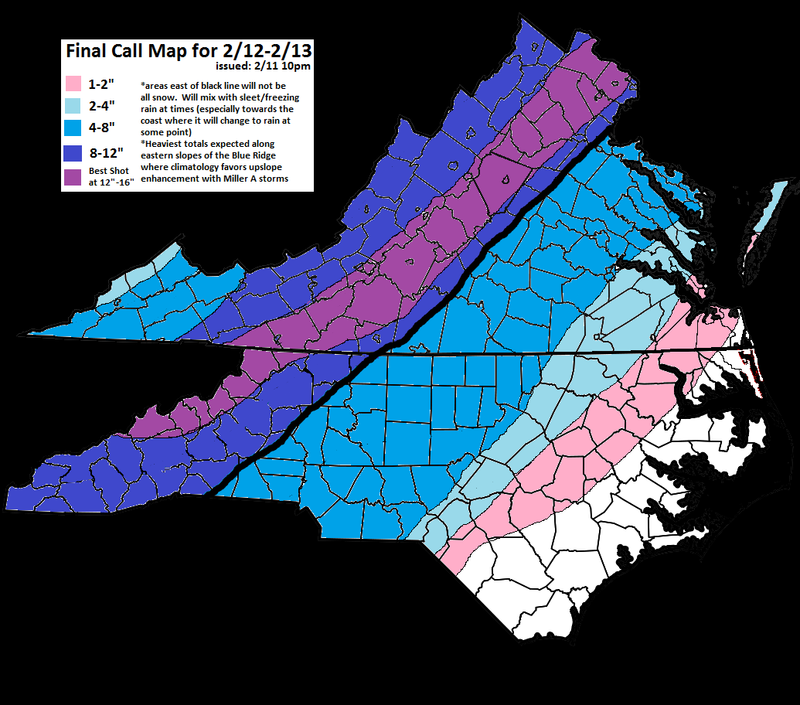 On the other hand, my totals across western Virginia were a good bit on the low side as many places in my 8-12" and 12-16" forecast ended up with widespread 16-24" totals. Models such as the European had repeatedly hinted that this would be the case, I just didn't buy it. 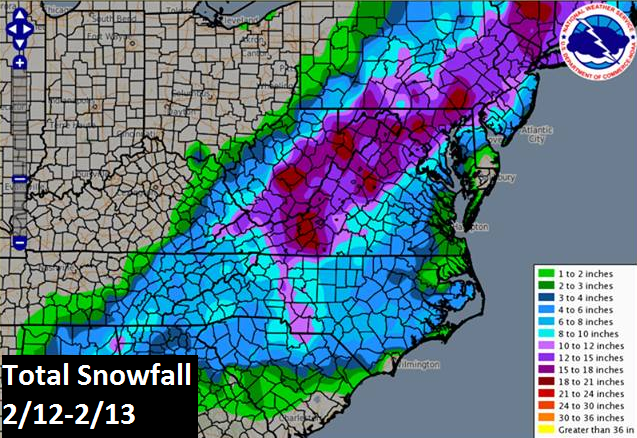 The winner with this storm was Pilot in Montgomery County south of Blacksburg where 28.5" fell. CLARKSVILLE            4.0   640 PM  2/12  SNOW BEGAN AROUND 1 PM.